I LOVE pizza and could eat my weight in it. The good thing about this pizza recipe is that you can make it pretty healthy. First of all, then thinner the crust, the better. Well, my crust is very thin as you can see. Second, you can cut fat by using low-fat or part-skim cheese. I used part-skim Mozzarella, which is one of the few cheeses that are actually good for you. Thirdly, BBQ sauce has no fat in it…just sodium. 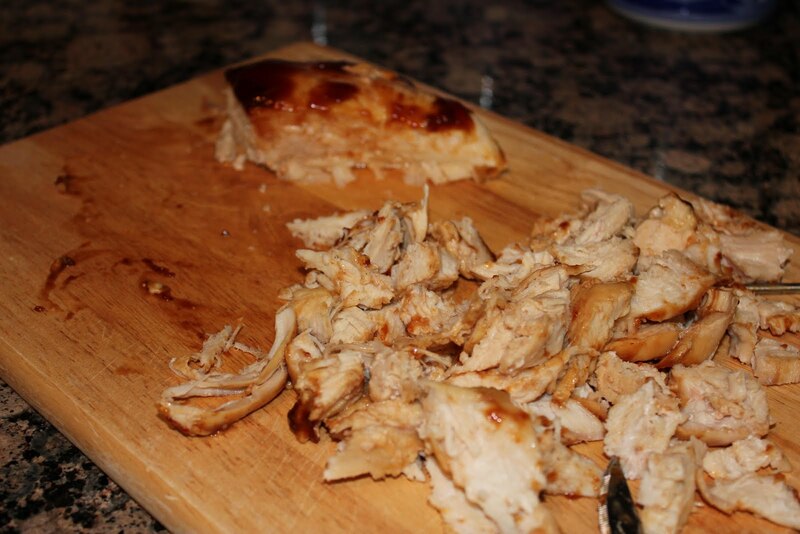 The only thing left is chicken breast, which provides a lean meat/healthy protein source for you. Finally, red onion and cilantro gives you wonderful flavor in this BBQ Chicken Pizza. 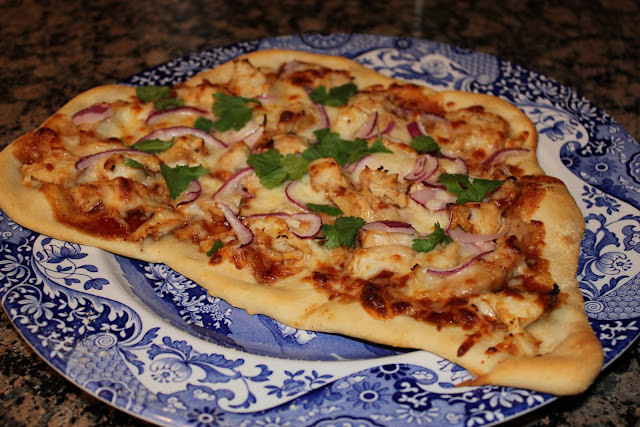 I adapted this recipe from Ree Drummond, or the Pioneer Woman, who in turn created her own version of California Pizza Kitchen’s BBQ Chicken Pizza. If you’ve ever been to California Pizza Kitchen, also known as CPK, you know what I’m talking about. Their pizzas are wonderful and come in almost every flavor or combination known to man. Their frozen pizzas are quite good too! 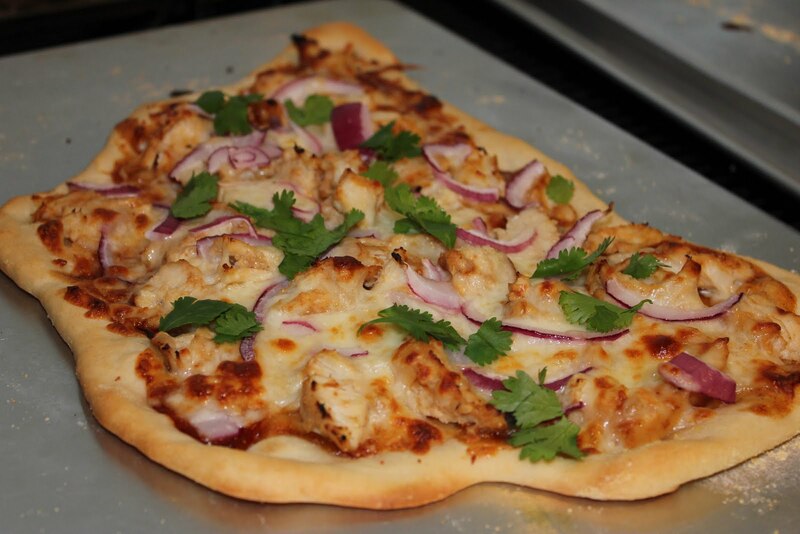 Last week my mom and sister made Rosemary Chicken and Potato Pizza from The California Pizza Kitchen Cookbook. I’ll be sure to blog it as soon as I can! 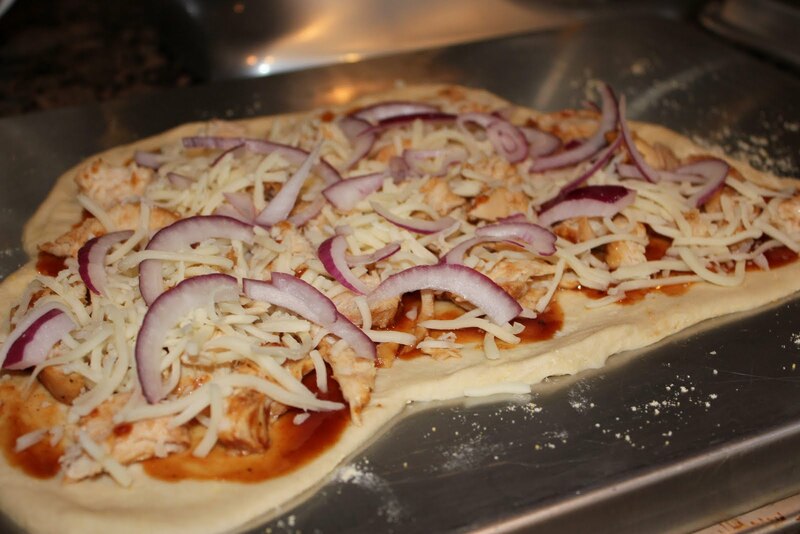 Making pizza is extremely fast and easy, especially if you buy a pre-made crust. If you’ve ever heard of Naan bread, it makes for a great crust as well. The neat thing about making pizza is that the baking time is so quick! With an extremely high oven temperature, at least 500 degrees F, you can bake a pizza in literally 10 minutes. For those of you who like to grill, grilling pizza is another tasty alternative. Bake chicken covered in BBQ sauce for 25-30 minutes in a 375 degree F oven. Dice into thin pieces. Roll out pizza dough. Cover in a couple of tablespoonfuls of BBQ sauce, then chicken. Sprinkle with Mozzarella cheese and thinly sliced red onion. Bake for 10 minutes, or until crust is golden, and cheese is bubbly. Top with freshly chopped cilantro. 2. Salt chicken breasts on both sides, then place in an ovenproof dish. Pour BBQ sauce over the breasts and turn them over to coat. Bake for 25 to 30 minutes, or until chicken is done. Remove from oven and cut into a fine dice. Set aside. 3. Increase oven temperature to 500 degrees F.
4. Roll/stretch out one pizza crust. Lay it on a sheet pan sprinkled with cornmeal. 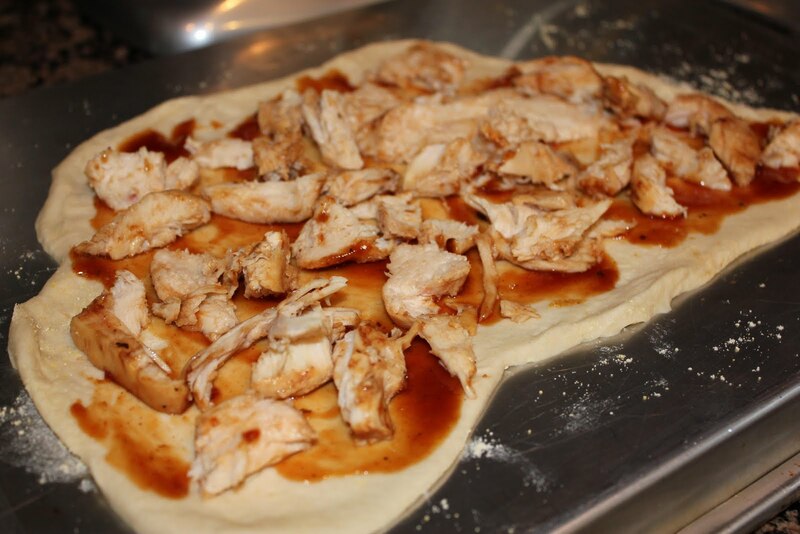 Spoon a couple of tablespoons of extra BBQ sauce on the crust and spread it evenly. Top sauce with half the diced chicken. Sprinkle on half of the Mozzarella and thinly sliced red onion. Repeat with second pizza. 5. Bake for about 10 minutes, or until crust is golden brown and toppings are bubbly. 6. Remove from oven and sprinkle on plenty of chopped cilantro. Cut into squares and serve immediately.